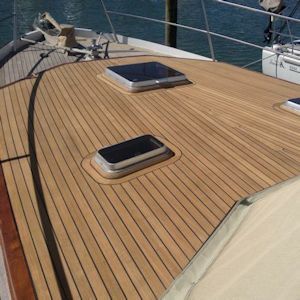 We have been in the marine business since 1993 and are well known locally in Tauranga, in the Bay of Plenty, and nationally for our high-quality boat building workmanship. 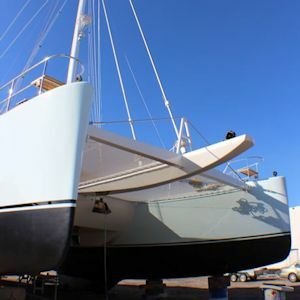 As professional boat builders based in Tauranga, we undertake the complete range of shipwright and boat building work on recreational and commercial vessels. We undertake new boat construction, vessel refits, vessel repairs and maintenance, general marine engineering, osmosis repairs, stainless steel work, repaints and more. 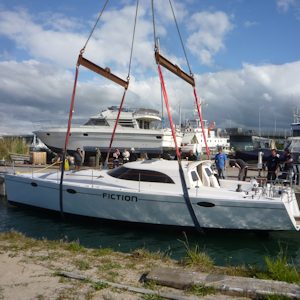 If you are looking at having your dream vessel built by quality boat building tradesman here in Tauranga, call Hutcheson Boatbuilders for a no obligation discussion and quotation. Live the dream. 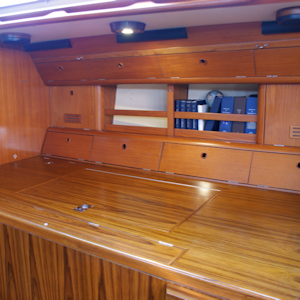 Hutcheson Boatbuilders can refit your vessel to a very high standard. We are popular with visiting overseas yachts and local boat owners to carry out this boat refit work. Tauranga is blessed with quality trades people in the Marine Industry. Ouch! Fishing Trawler versus rock. 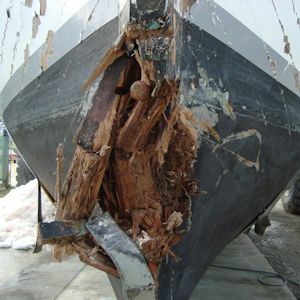 When you have a mishap and need urgent repairs, Hutcheson Boatbuilders have the quality tradesmen to make boat repairs. 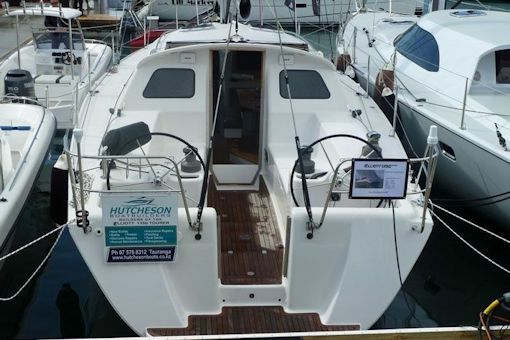 Hutcheson Boatbuilders carry out the full range of painting jobs from small gel coat repairs and antifouling to complete boat repaints for any size vessels constructed in wood, fibreglass, aluminium, steel, carbon fibre and Ferro. Need a hardtop for your vessel? 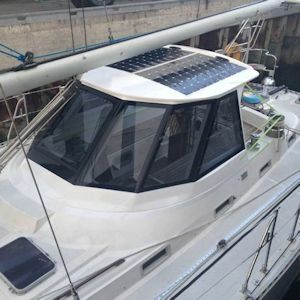 We have moulds for various size hardtops or alternatively, we can custom build a brand new hardtop to suit your vessel. Enjoy your boating and stay out of the weather when you need to. Hutcheson Boatbuiloders are experts when it comes to traditional deck teak work. View our work. We are also NZ installers of Dek-King 2G which is a premium non-slip synthetic decking alternative to traditional teak decking. The Greg Elliott designed EVO 660 is a production powerboat which offers fun for the whole family. The EVO is a safe, soft riding and seaworthy boat whilst keeping fuel consumption to a minimum. The unique central pod arrangement enables the E660 to be more functional whilst improving comfort on the water without closing the space in and allows for unrestricted visibility. The 14 meter Greg Elliott ‘1350 Tourer’ pilothouse production yacht, was developed to satisfy the demand for a comfortable performance cruising yacht which is offshore capable and affordable, while being of a size which is manageable for just two crew. The yacht has an all round saloon window for excellent exterior vision and there is excellent indoor/outdoor flow.